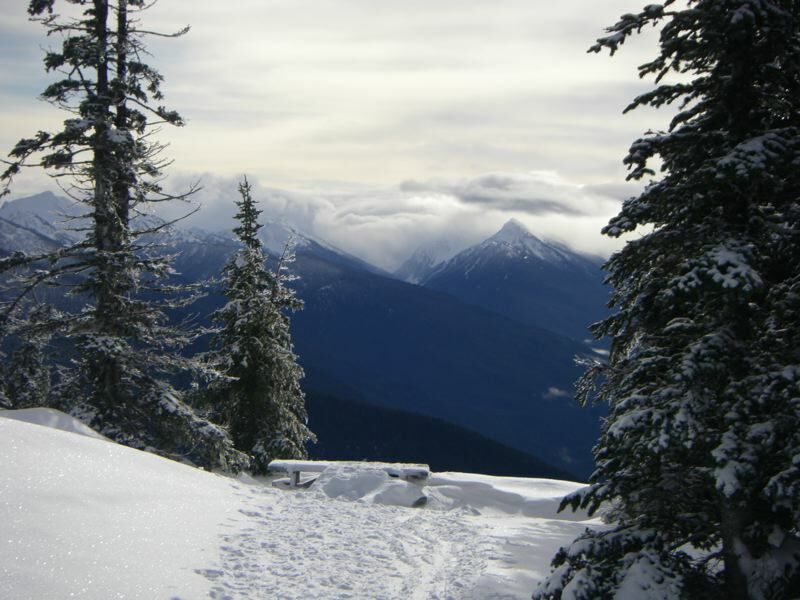 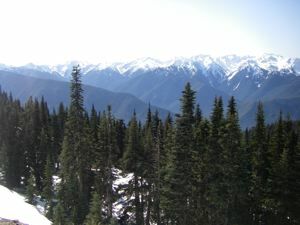 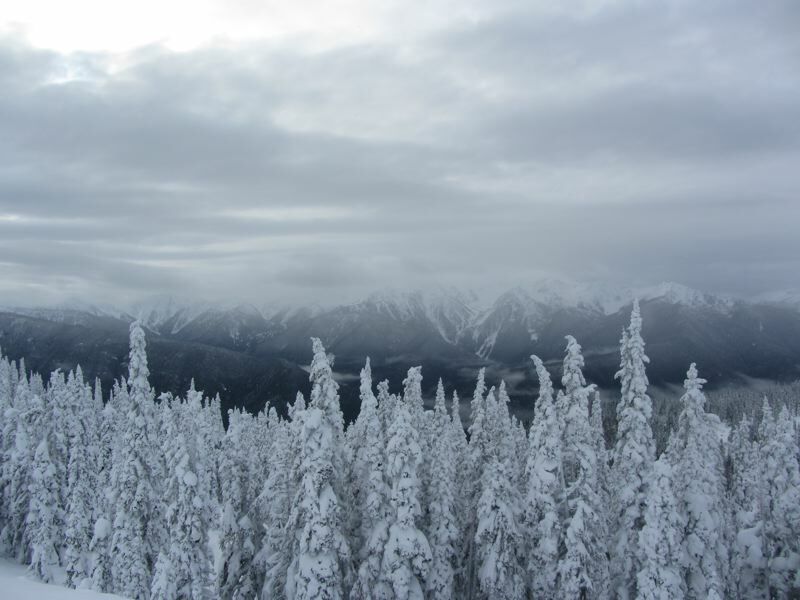 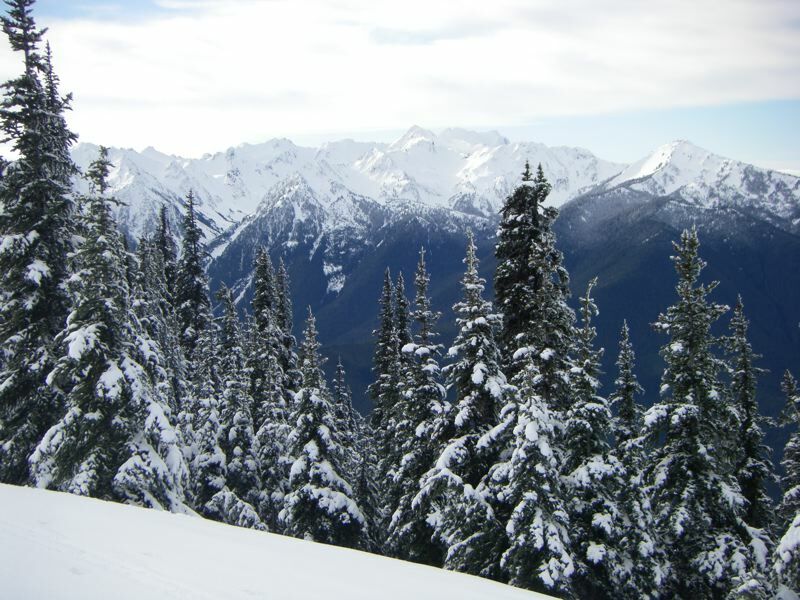 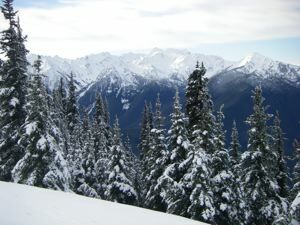 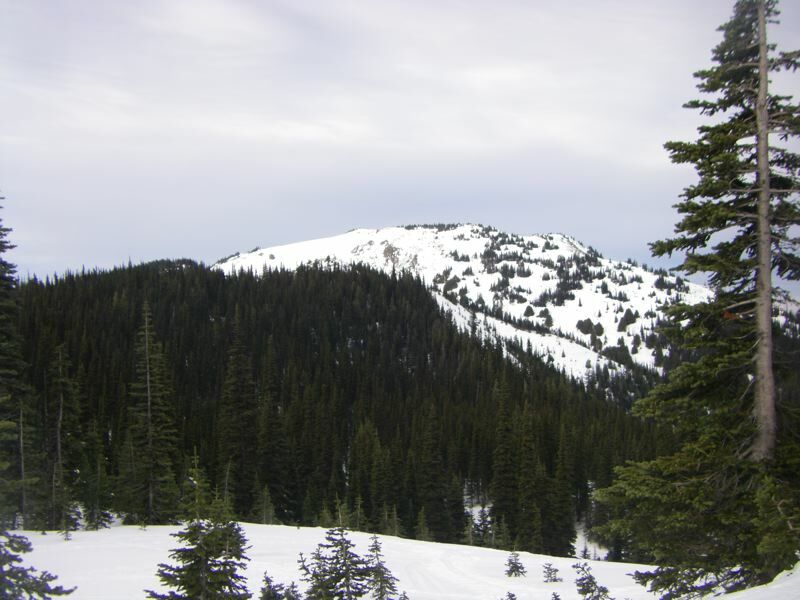 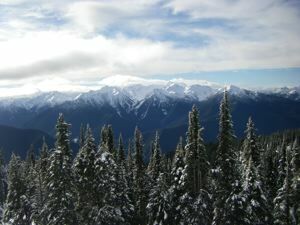 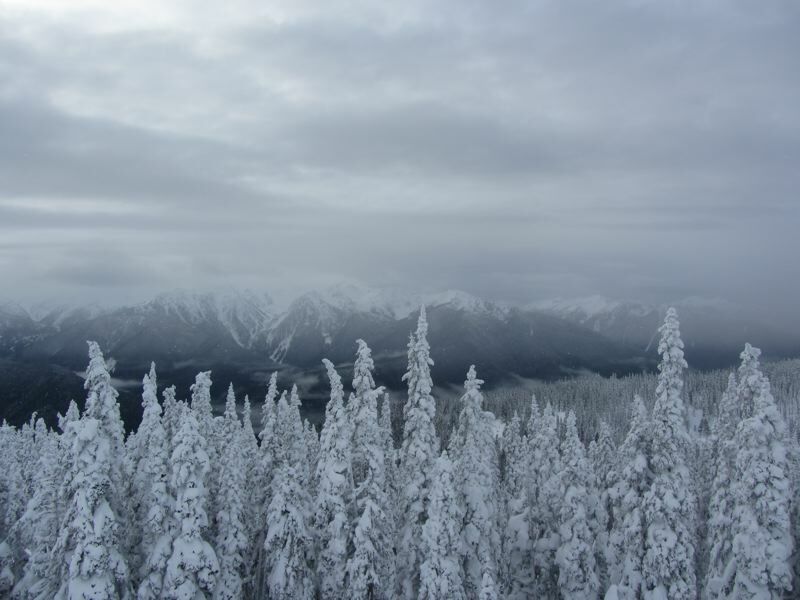 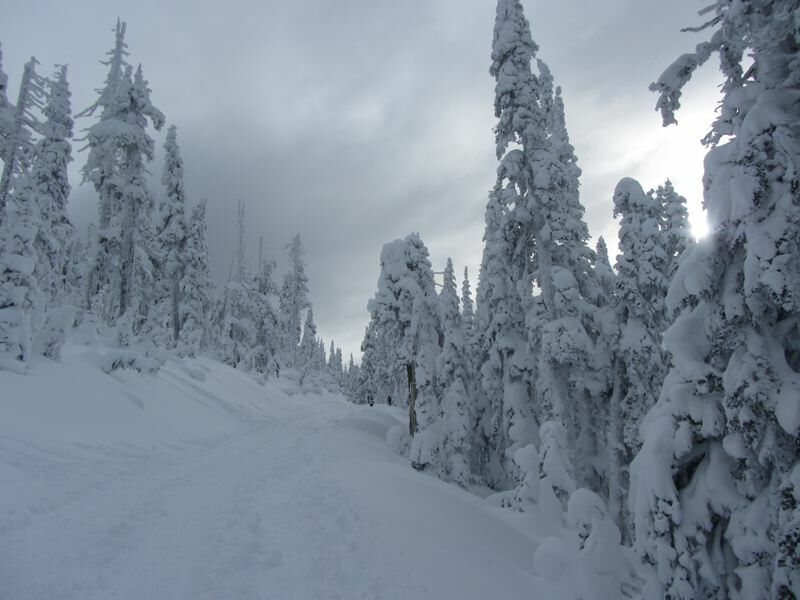 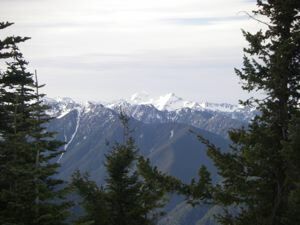 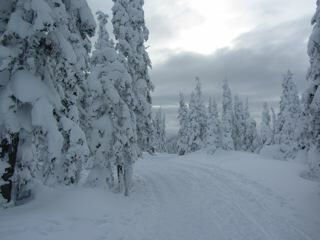 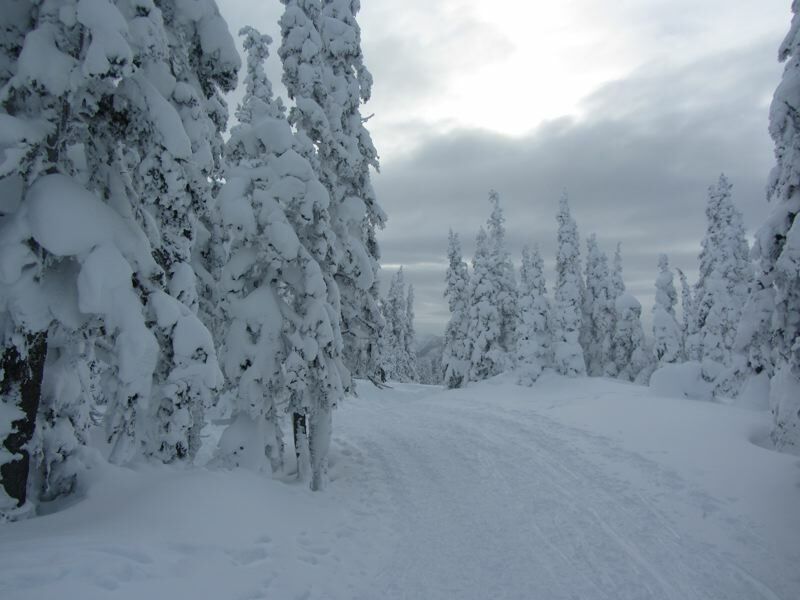 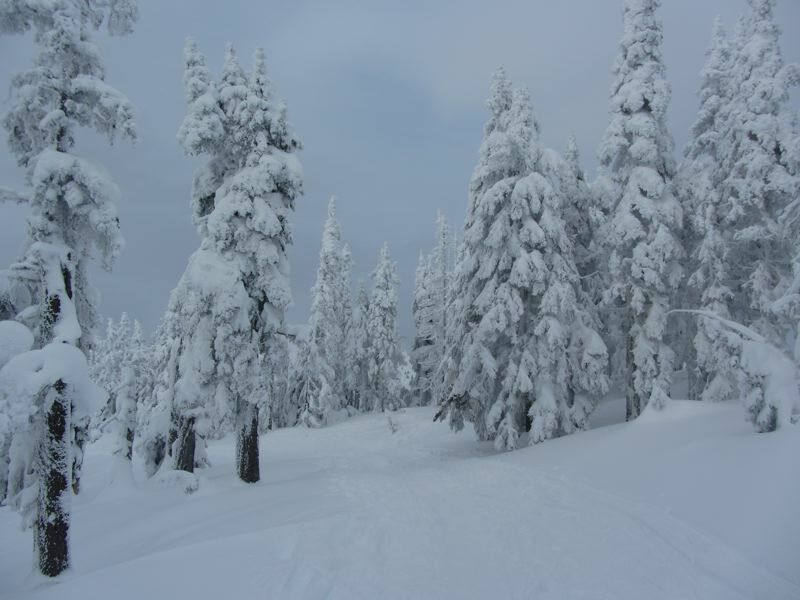 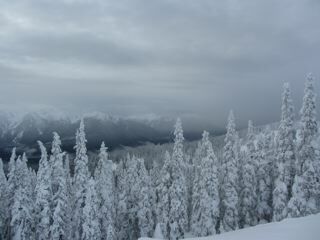 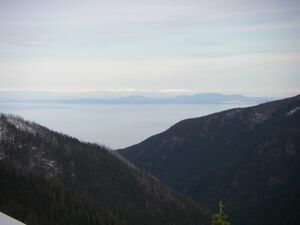 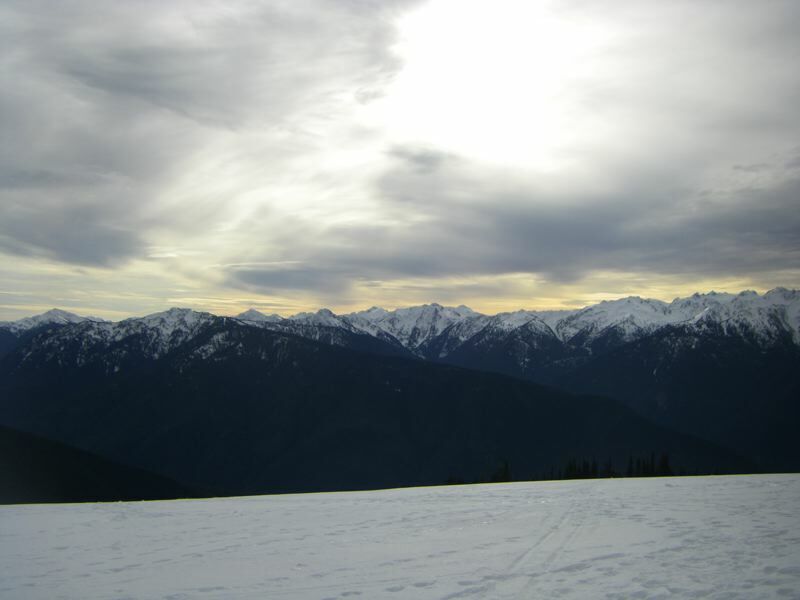 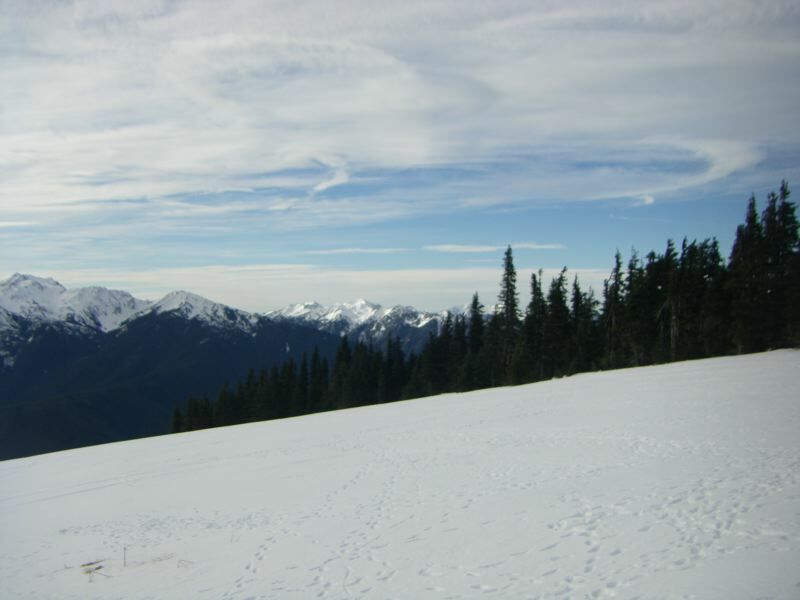 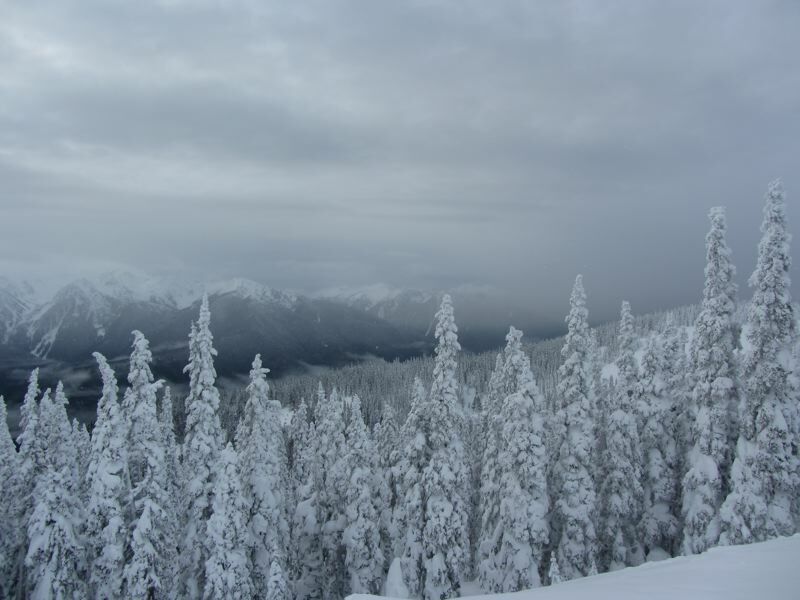 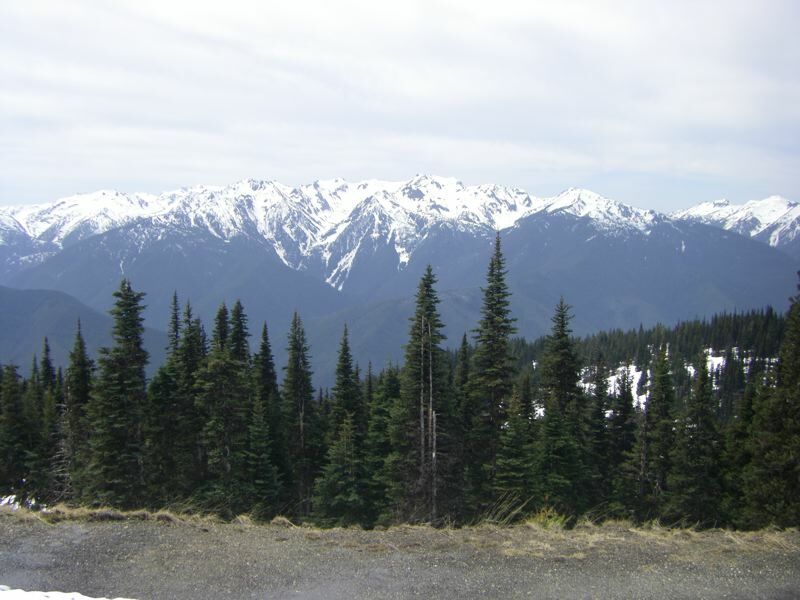 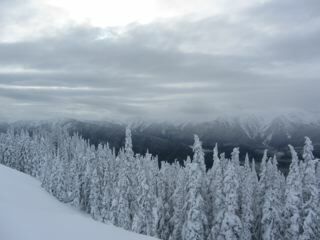 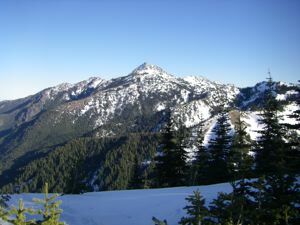 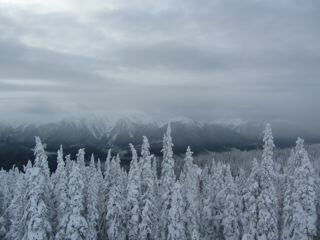 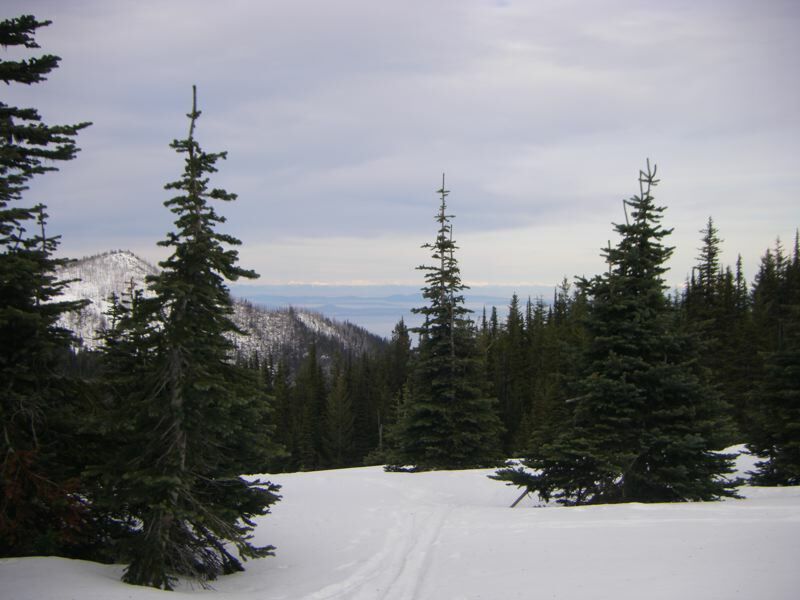 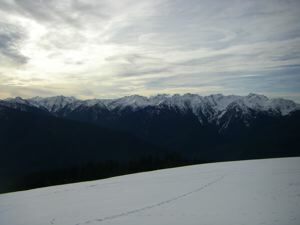 These are some photos from our last snowshoeing trip up to Hurricane Ridge. 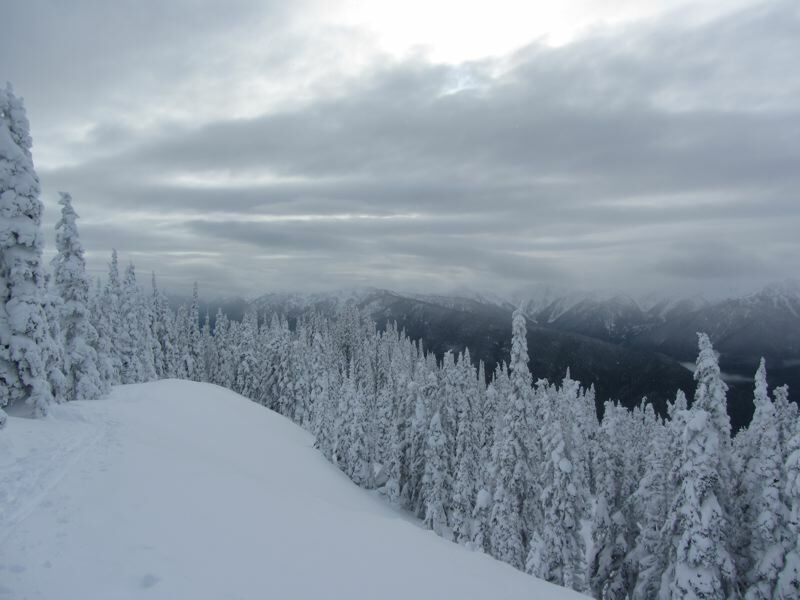 As you may know, Hurricane Ridge Road is closed until early March, so this may have been our last snowshoeing trip of the season. 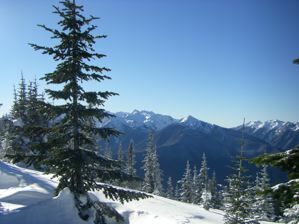 We suppose it is a rule of the high country, carpe diem - seize the day. 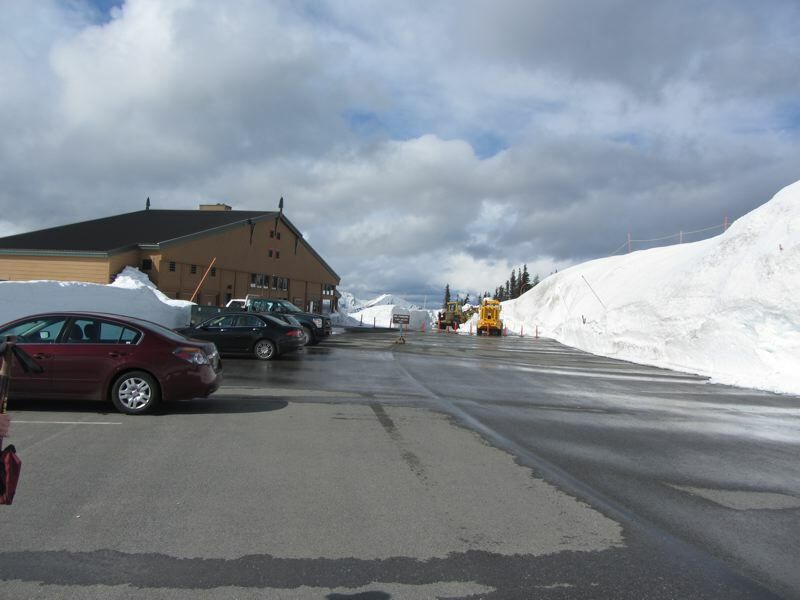 Come early or you might not get a parking spot. 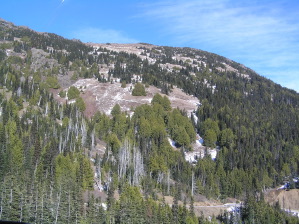 The mountains are still standing. 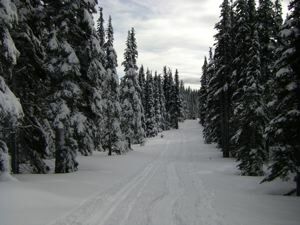 They are still covered with snow, though the surface is packed and a bit slick for cross country skiiing. 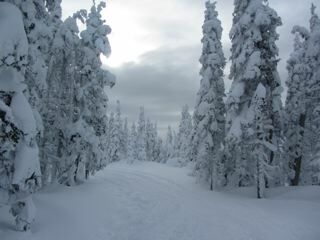 The road is clear but for a few stretches of well sanded ice. 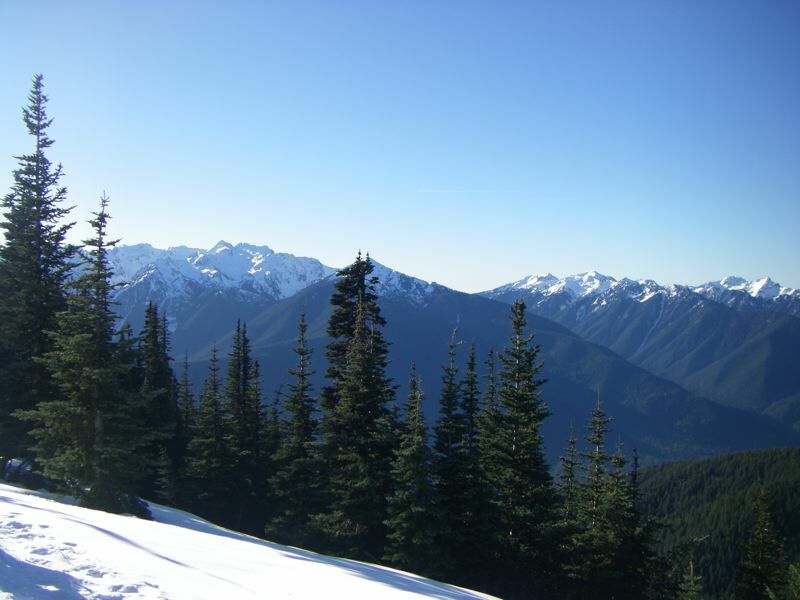 The sun still shines. We were up there snowshoeing on the trail from Hurricane Ridge to the Hurricane Hill trailhead. 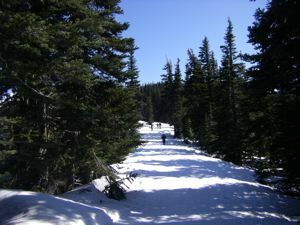 A lot of people were just hiking the trail in boots or hiking shoes. 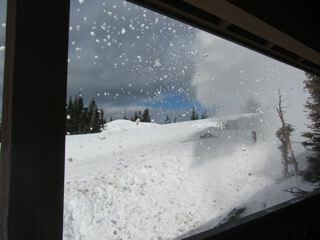 Did we mention that the mountains are still standing? 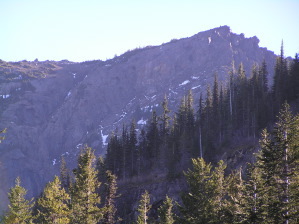 The mountains are still standing. 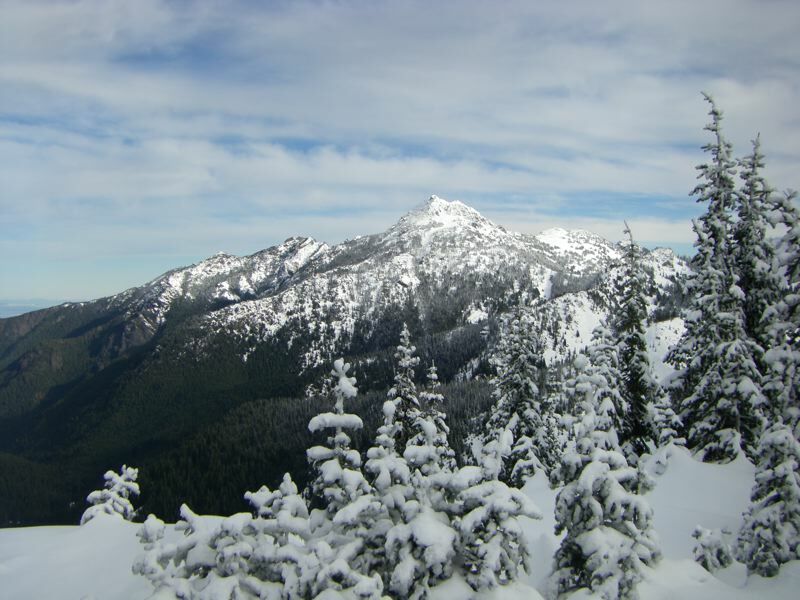 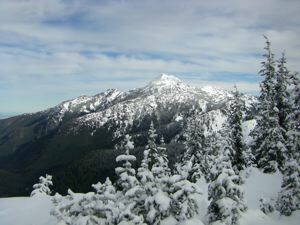 The snows are back, so we've been snowshoeing the Lake Angeles Trail. 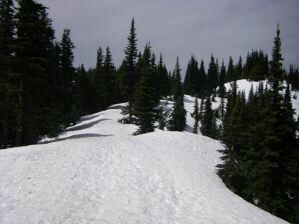 To be honest, there were only a few inches of snow on the trail. Most of the people we met on the trail were just wearing boots, but we are never could get the hang of boots, so we snowshoe. 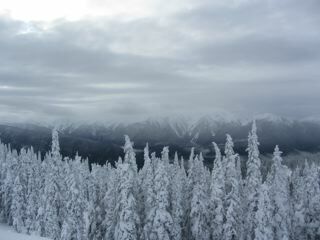 In any case, the scenery was spectacular. We had a mixed Martin Luther King Day weekend up on Hurricane Ridge. 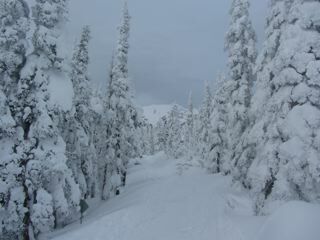 On Sunday, high winds led to white out conditions, so they had to close the road. 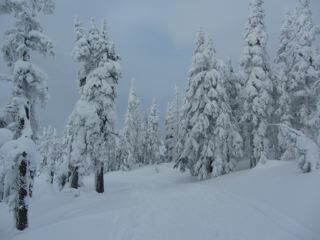 However, on Monday, the winds were quiet and the sun was out. 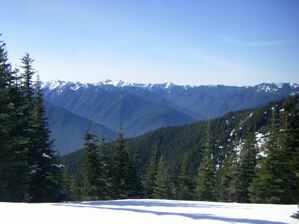 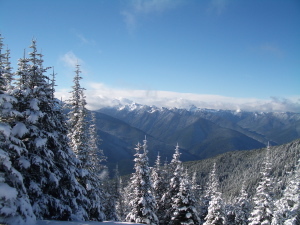 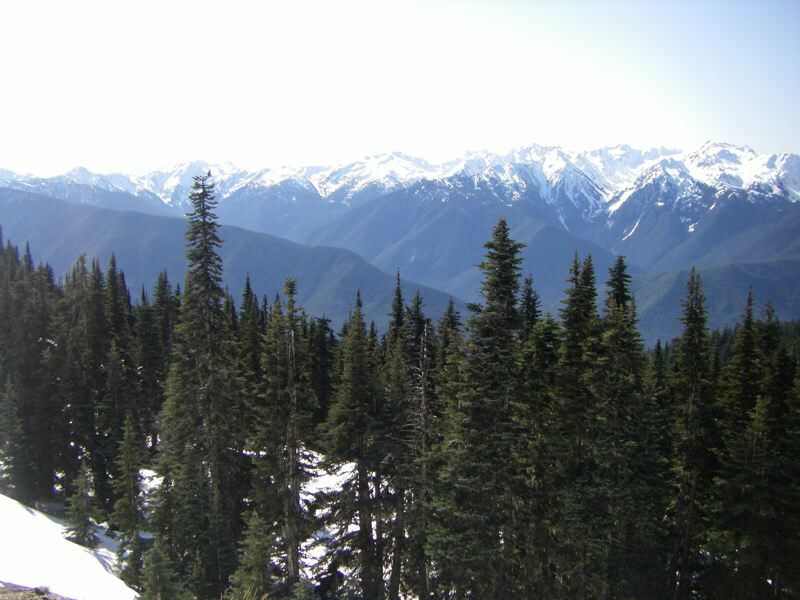 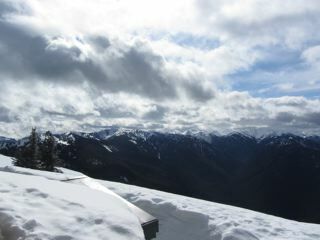 It was a beautiful day for snowshoeing from Hurricane Ridge to the Hurricane Hill trailhead. 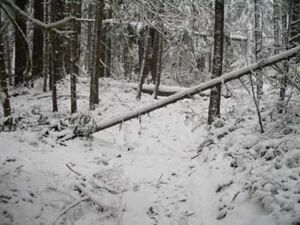 We tried doing a little snowshoeing along the Lake Angeles Trail, but we were thwarted by fallen trees. We had to climb over a few trees to get to the first crossing. 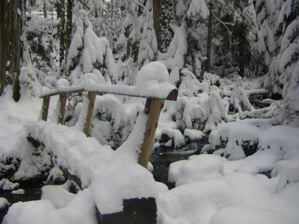 The little foot bridge was out, crushed by a couple of fallen logs. Luckily, the river is easy to ford here, and there were lots of broken logs and bits of the bridge to walk on, so we made our across the stream. 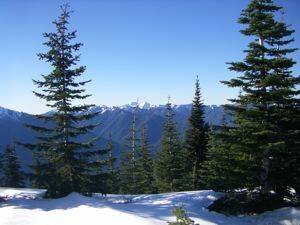 Then we started to climb, and soon ran into another fallen tree. 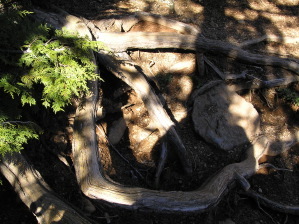 Then there was a clear patch, then another fallen tree, then clear, then tree, and so on. 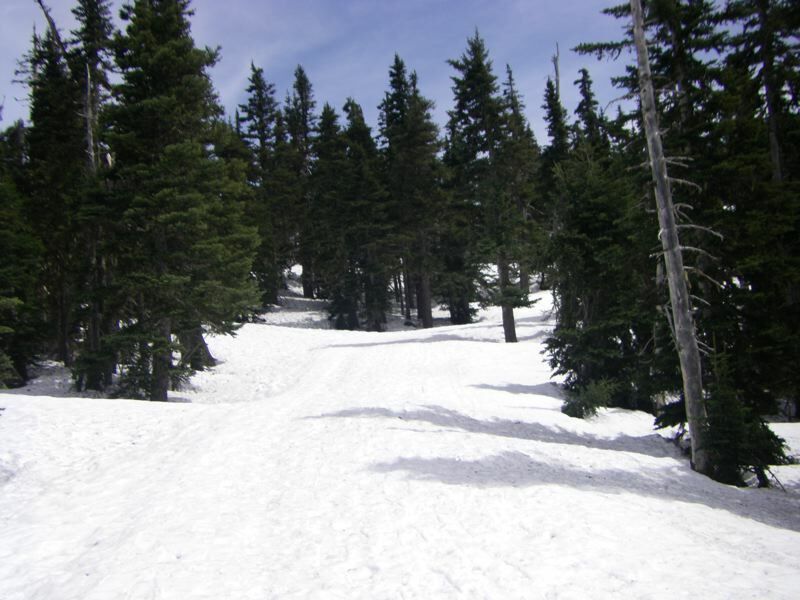 It is rather awkward clambering over fallen trees of varying sizes in snowshoes. 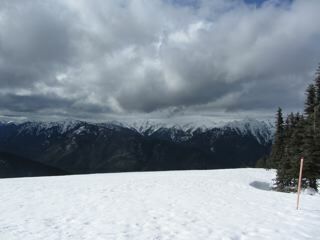 It isn't getting one's foot up that is the problem, but rather getting it down. 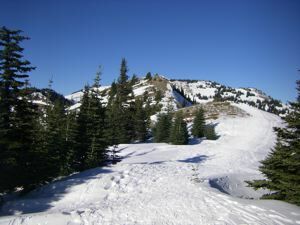 The snowshoe tries to land toe first. 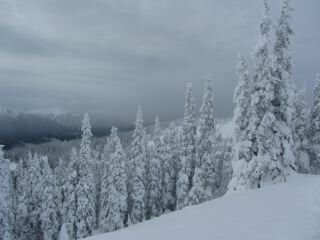 After a few more trees, we gave up. 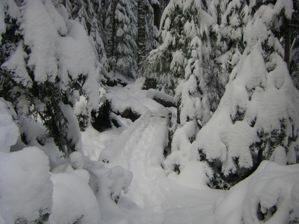 The Heather Park Trail was in better shape, but we soon came to a brook running down the middle of the trail. 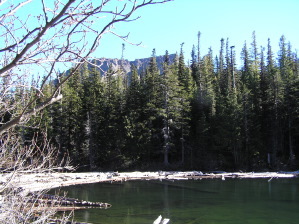 Rather than get out feet wet, we turned around here. 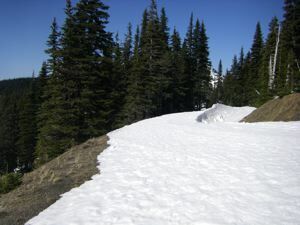 We clambered around a bit more, finding the little picnic area and foot bridge on the fire road that starts at the parking lot just after the park gate station. 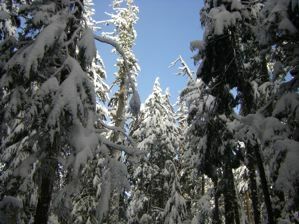 We had never explored there before, so we judged our venture a success. 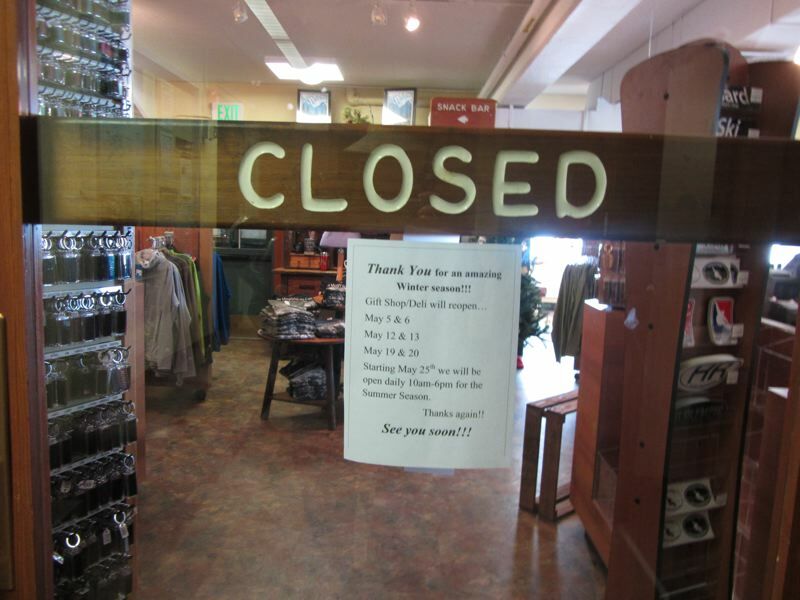 Just a quick note on the outdoors on the Peninsula. 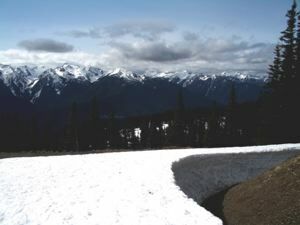 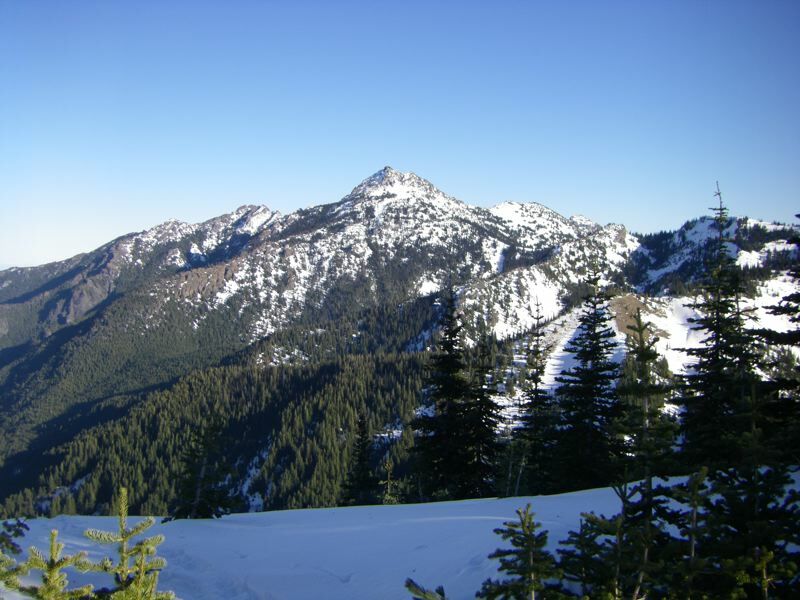 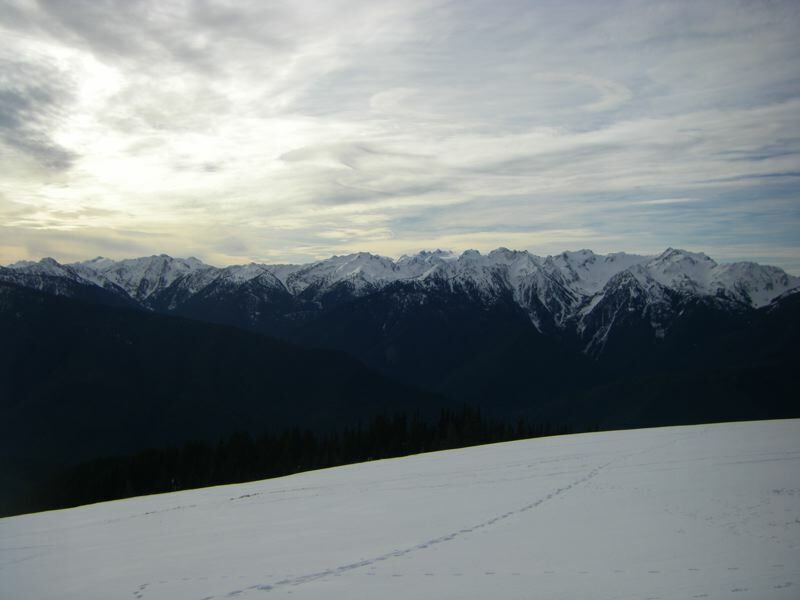 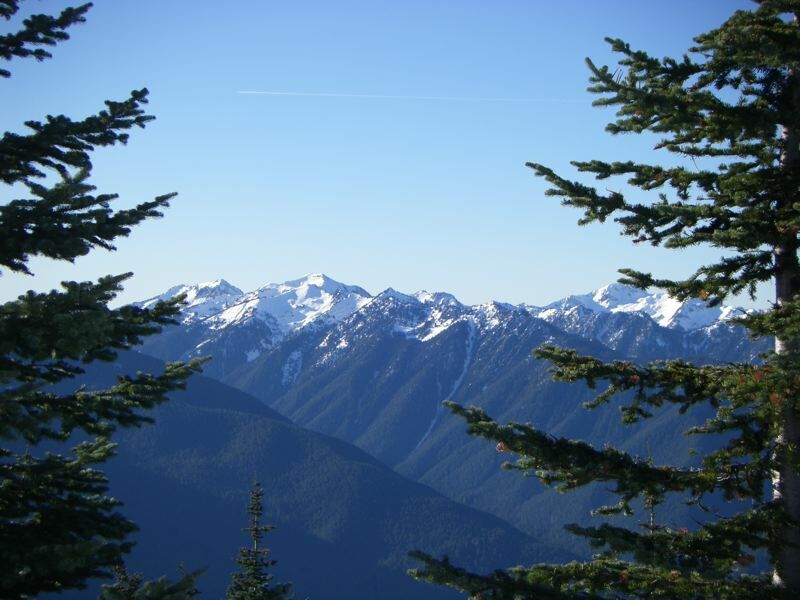 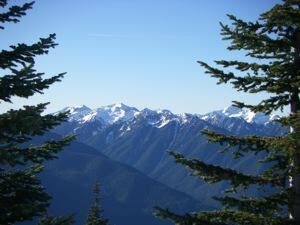 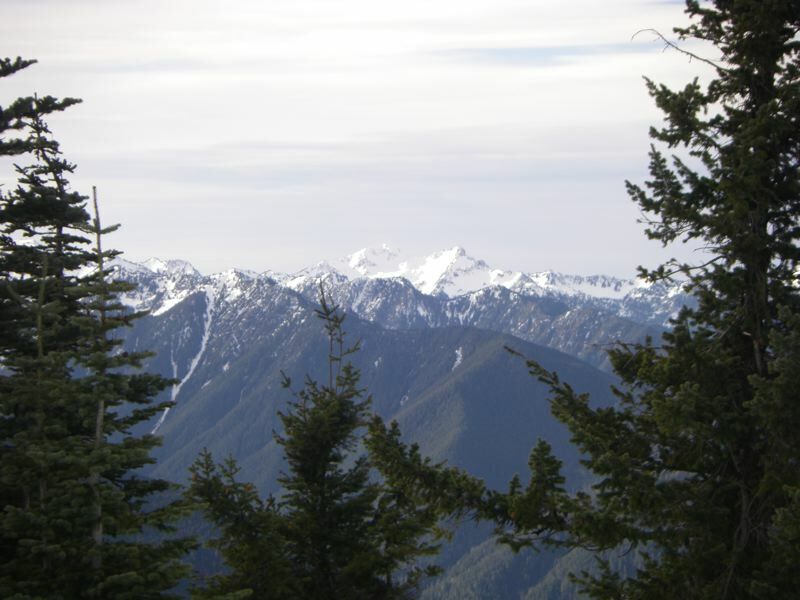 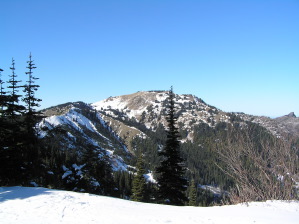 We were up at Hurricane Ridge snowshoeing over the weekend, so we cxan report fairly good snow up in the hills, but the Lake Angeles trail is still best climbed from Heart of the Hills in hiking shoes, or boots. There is just not that much snow on the forest floor, even when there is snow by the road. 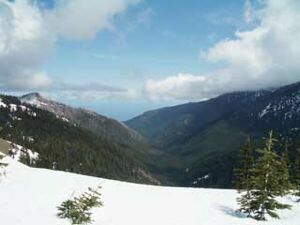 We were also out at Lake Crescent, and it looks like most, if not all, of the snow on the Spruce Railroad Trail has melted. There is still ice on the access road, so drive carefully.